Four Weddings And An Editorial: Are you still buying expensive CF cards? From previous experience, I always knew that using memory card adapters were not ideal. Either that it was buggy or that it lacked speed. Not until recently when I purchased my first GoPro that I decided to give these adapters a try. I wanted to buy high speed cards for my GoPro but I didn't want them to be only used for the GoPro exclusively since I was using the go pros for recreational use. To my surprise these new adapters are capable of producing speeds up to the cards capability. 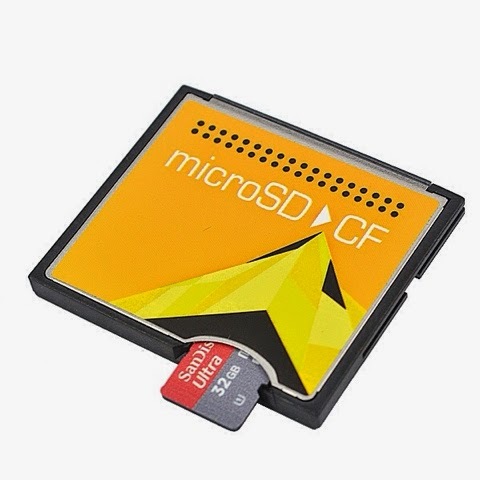 So why use micro sd? And if you own a GoPro and Pro DSLR, the adapter route is definitely worth trying. *just make sure you buy a card that is capable of high write speed and not only read speed. I almost got burned at a shop in SSP offering me a card capable of a 80mb read speed but only to find out moments before cashing out that it only had a 20mb write speed.